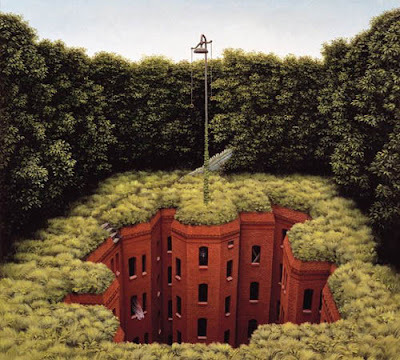 Born in Poland in 1952, JACEK YERKA studied fine art and graphics prior to becoming a full-time artist in 1980. 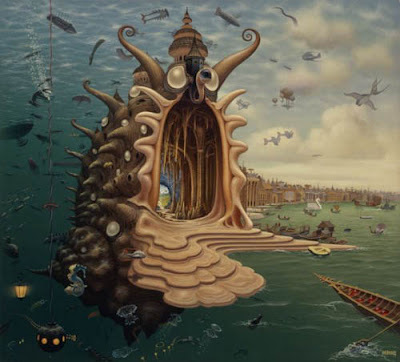 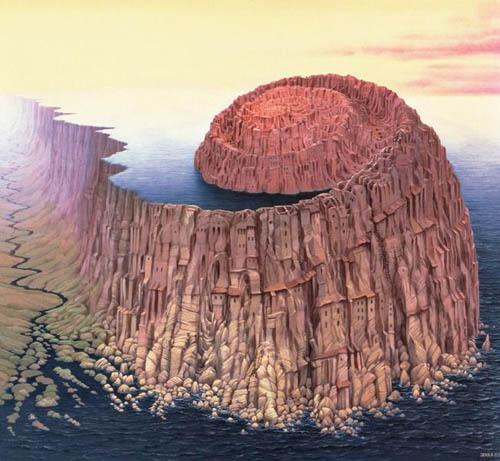 While at university, Yerka resisted the constant pressures of his instructors to adopt the less detailed, less realistic techniques that characterize so much of contemporary art. 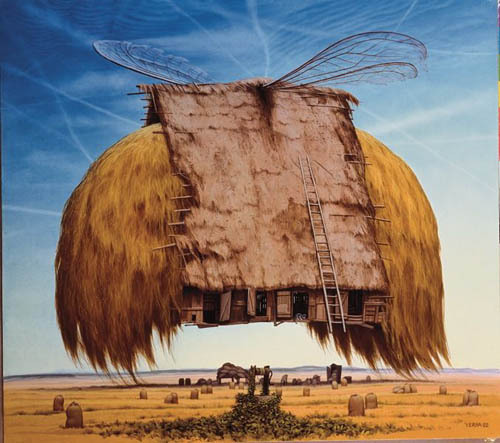 The pastoral atmosphere of the Polish countryside provides a solid, mimetic foundation for much of Yerka's art. 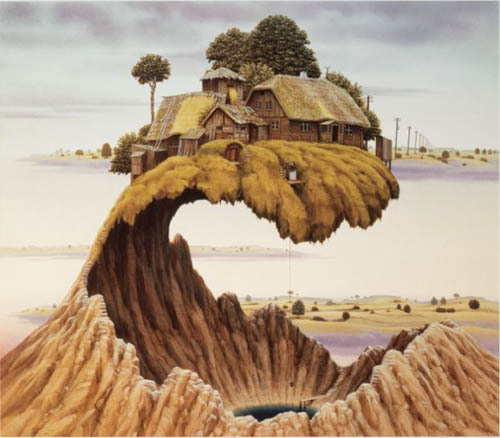 One need only glance at the luminous surfaces of Yerka's canvases to perceive his adoration of, resonance with, the master painters of the 15th and 16th centuries, key factors in the development of this surrealist Cagliostro. 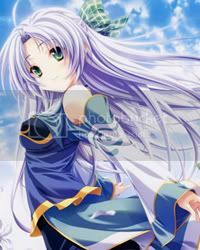 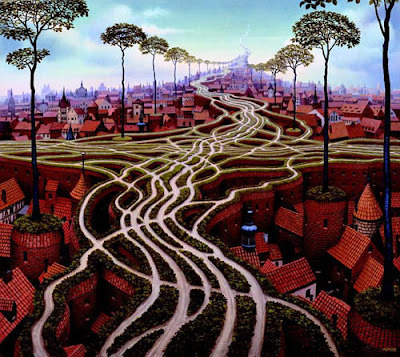 Hieronymus Bosch, Pieter Bruegel, Hugo van der Goes and Jan van Eyck were powerful, early influences. 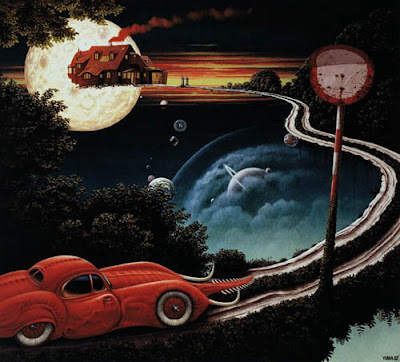 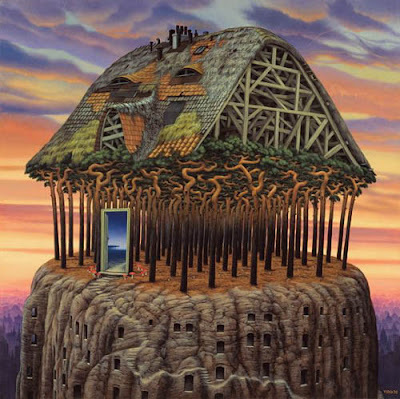 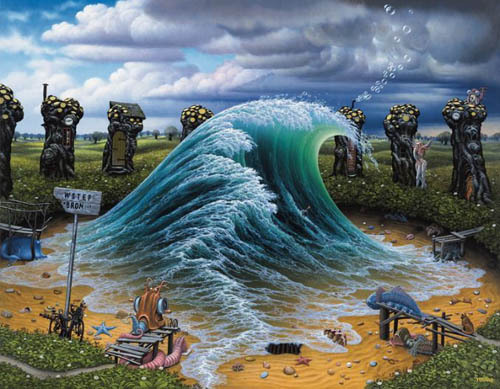 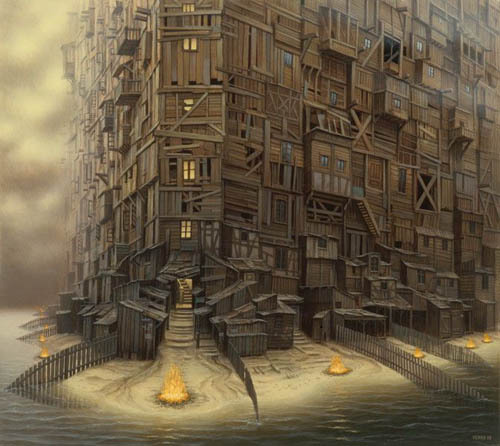 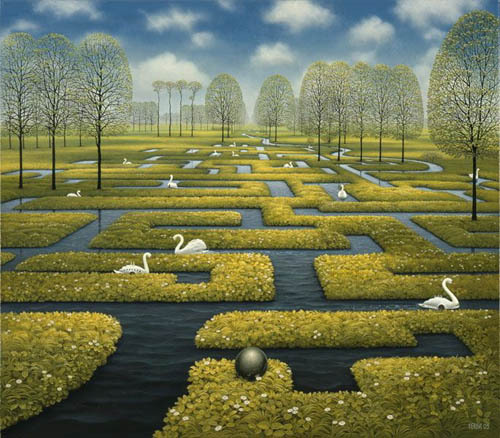 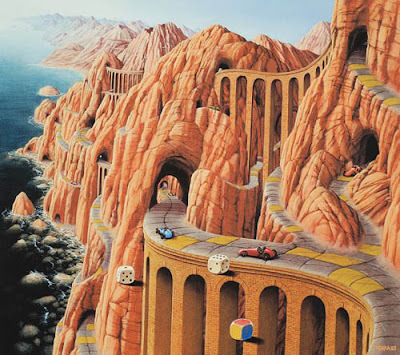 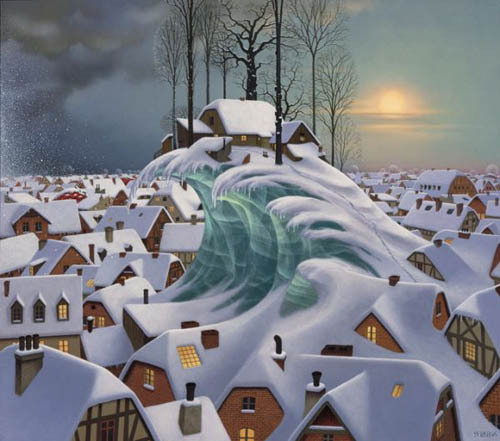 Yerka inspired the fantasy writer Harlon Ellison to write 30 short stories which along with Yerka pictures constituted the publication entitled "Mind Fields". The same American publisher "Morpheus International" released the album "The Fantastic Art of Jacek Yerka".